Like in all other spheres, ancient Roman education too was greatly inspired by the Greek educational system. Educations gained importance during the late Roman Republic and the early Roman Empire. Ancient Roman education practices made a great impact in the field of education. According to the ancient Roman culture, a child’s education, physical and moral, began at home under the strict supervision of his or her parents. The ancient Roman education aimed at transforming a child into a strong, healthy, religious and responsible citizen. Education imparted to a child taught him the laws of obedience, the modesty of speech, intelligence and self-reliance. The children were also taught about the virtue and importance of being educated. 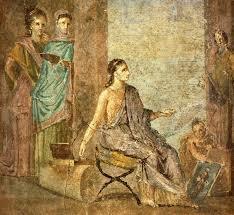 As the part of ancient Roman education, the girls were trained by their mothers to cook, spin and weave. A girl child was also taught how to read and write. While a boy was taught by his father to plow, sow seeds in the fields and also to reap the crop at the time of harvest. Apart from this, he was also taught to swim and the art of boxing and fencing. As he grew up, he has imparted the knowledge necessary for running a household. Like the girls, the boys were also taught to read and write. Unlike the girls, they were taught the laws pertaining to the ancient Roman culture. Ancient Roman nobles had great faith in Roman education System. They imparted formal education to their children. They hired educated Greek slaves and preachers to teach their children. The poor in the ancient Rome was not provided formal education; they were however taught to read and write. The Roman schools were an extension of a single room divided by a curtain. 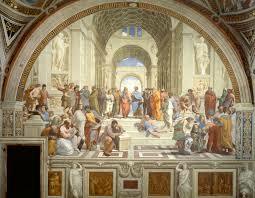 Schools known as “Ludi” were first founded in the middle of the 4th century BC. These schools inculcated the basic socialization techniques and rudimentary education to young Roman children. Until the age of 12, the children went to Ludi to learn, to read, write and to do basic mathematics. The schools started at dawn and continued till dusk with a short interval in between for lunch. The young children were not given books; the lessons were learned by heart. Basic mathematics was taught using an abacus. The children used wax tablets and stylus for writing. When the student became proficient in the art of writing, he was provided with papers made using ancient Egyptian technology. A quill was used as a pen and ink was made from a mixture of gum, soot, and ink of an octopus. Ludi did not deal with many subjects. After completing the primary education girls were not provided with advanced educations. It was only meant for boys. The reason is, the girls were married off at the age of twelve while the boys were allowed to marry only at the age of fourteen. The boys did specific studies on topics like medicine, public speaking and also read the literary works of the scholars like Cicero. 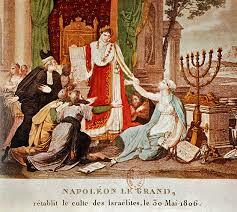 They also learned Greek grammar and literature along with music and astronomy. 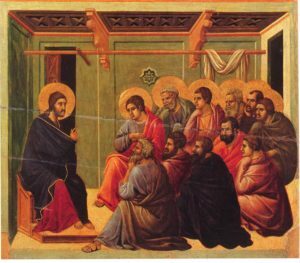 The ancient Romans also imparted the art of public speaking and persuasion to the grown-up children. This art was known as rhetoric. There were no public schools in ancient Rome. girls were taught by their mothers while the fathers educated the boys. “Spurius Carvilius” a free slave opened the first private school in ancient Rome. Only the rich nobles were able to send their children to the fee-paying school. 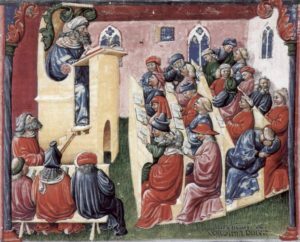 Here the young ones were taught to read and write and as they advanced in age, they were taught public speaking, laws of the country, music and Greek literature. Educations gained importance during the rule of Roman Republic and attained its glory and final form in the early Roman Empire. Ancient Romans respected knowledge and education. Both the boys and girls were educated either by their parents or by special teachers.